I don't know if there is a name for this little waterfall. It is found in the very back of Warwoman Dell on a little nature trail. It is a great trail to find trillium on. 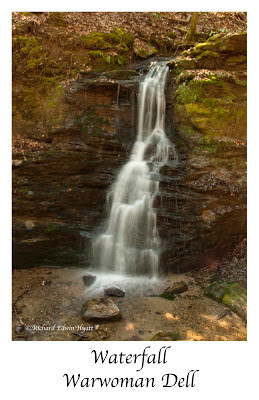 There are two waterfalls in Warwoman Dell, this one and Becky Branch Falls. 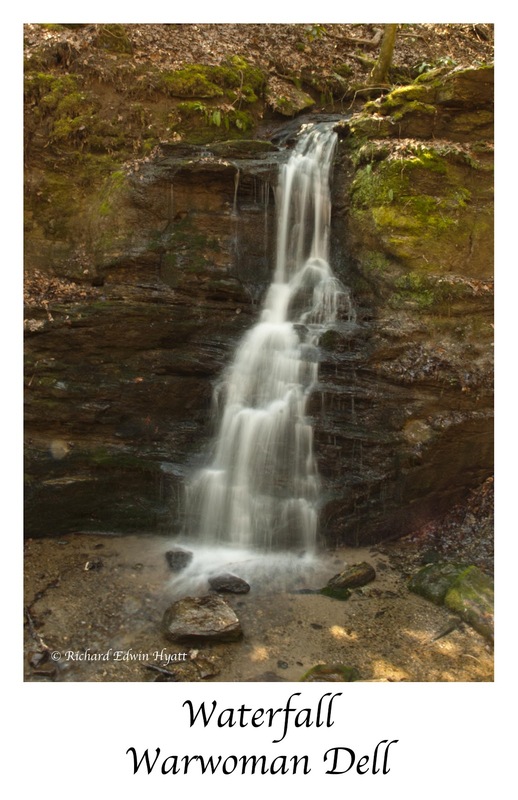 Becky Branch Falls is found by following the Bartram Trail up from the old CCC fish hatchery ruins and across Warwoman Road. If you drove from Clayton, you crossed this part of the Bartram Trail on Warwoman Road on the way into the park. Follow this steep part of Bartram Trail about 1/4 miles to Becky Branch Falls. There is a wooden bridge across Becky Branch to view the falls from.